A new study of more than 580,000 heart patients admitted over two decades to emergency rooms in Florida found that mortality rates for both women and men were lower when the treating physician was a woman. Whether your doctor is a man or woman could be a matter of life or death, a new study suggests. A study of more than 580,000 heart patients admitted over two decades to emergency rooms in Florida found that mortality rates for both women and men were lower when the treating physician was a woman. And women who were treated by male doctors were the least likely to survive. Earlier research supports the findings. In 2016, a Harvard study of more than 1.5 million hospitalized Medicare patients found that those treated by female physicians were less likely to die or be readmitted over a 30-day period than those cared for by male doctors. The difference in mortality was slight — about half a percentage point — but when applied to the entire Medicare population, it translates to 32,000 fewer deaths. Other studies have also found meaningful differences in how women and men practice medicine. Researchers at Johns Hopkins Bloomberg School of Public Health analyzed a number of studies that focused on how doctors communicate. They found that female primary-care doctors simply spent more time listening to patients. But listening comes with a cost. Women doctors spent, on average, two extra minutes, creating scheduling delays and putting them an hour or more behind their male colleagues by the end of the day. Dr. Nieca Goldberg, a cardiologist whose book “Women Are Not Small Men” helped start a national conversation about heart disease in women, said the research should not be used to disparage male doctors but instead empower patients to find doctors who listen. “All doctors, whether they are a man or a woman, really set out to save a person’s life,” said Goldberg, who is the medical director of the Joan H. Tisch Center for Women’s Health at NYU Langone. Communication is particularly important in heart patients because symptoms can be so different in men and women, she said. Goldberg said a new patient recently said that she sought out a female doctor because her male physician wouldn’t take the time to explain things or answer questions. “Patients not only want you to take care of them in terms of making the right diagnosis, they also want to feel heard, and a big part of health care is the communication piece,” she said. The authors of the Florida study, published in the Proceedings of the National Academy of Sciences, urged caution in interpreting the results, and noted that one can only speculate about the reasons female patients had better survival when being treated by female doctors. 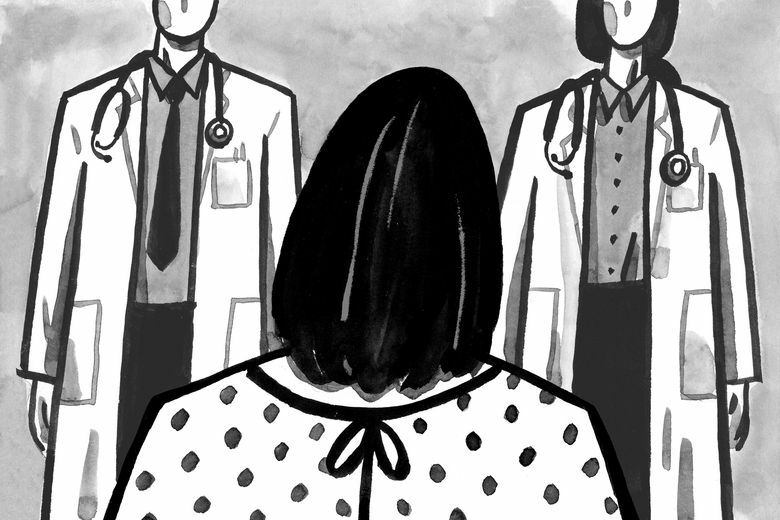 It may be that women feel more comfortable talking to female physicians. Or it may be that doctors who are women are more focused on the unique symptoms of heart disease in women, or faster at picking up cues from patients. Dr. Don Barr, a professor at Stanford Medical School, said he often talks to his students about research into gender differences in how doctors communicate. Male doctors, he said, are notorious for interrupting patients in an effort to refocus the discussion. In one study, female primary-care physicians waited an average of three minutes before interrupting a patient. Male doctors waited an average of 47 seconds. Barr said he once conducted a personal experiment, deciding to let his next patient talk as long as he or she needed to without interruption. The patient was a woman in her 70s who had been reluctant to seek care and was there to appease friends and family. She talked of the weather, of a cough and of being uncertain about which drug to choose. Despite frantic signals from his nurses that he was running behind schedule, Barr didn’t interrupt. The woman spoke for 22 minutes. Edna Haber, a retired mortgage-company owner who lives in Westchester County in New York, said she has had wonderful male and female doctors, but her worst experiences have all involved male doctors. One was so dismissive of the medical history she gave him that she offered a copy of her medical record to prove her point and never went back. Another got angry when she seemed reluctant to take a medical test. But Goldberg knew the patient had been concerned enough to see a doctor, so she suggested that she wear a heart monitor for a few days. Several days later, the technicians monitoring the feed noticed a pattern that ultimately showed Haber needed a pacemaker.